Can you believe it's already June?! We're almost mid-way through the year. I can't believe it. C has just three weeks left of kindergarten. This school year went by way too fast! Anyway, last week was a pretty productive blogging week for me. I completed and reviewed Not My Daughter by Barbara Delinsky. I also read and reviewed Freedom's Call by John Walker. You can click on the titles to see my reviews. 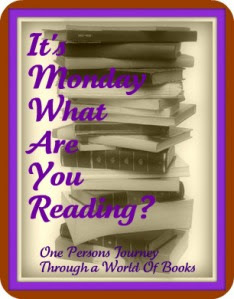 I published my What My Children Are Reading this week. I have a few interesting children's picture books that I'll be reviewing over the next few weeks as well. Finally, I'm hosting a giveaway for a gift card to CSN Stores. It ends on Wednesday, so be sure to check it out and enter to win! The Glass Castle by Jeannette Walls ~ Yes, I really am going to read this finally! I really enjoyed reading The Glass Castle - such a fascinating story. This year has gone fast! I loved The Glass Castle. I hope you like it! I want to read Not Without My Daughter. I have it, but it's one of those I just haven't gotten around to yet. The Glass Castle sounds like it might be a good read. I hope you enjoy it and I look forward to reading what you think of the book. I truly cannot believe it's already June! Where did the time go? I'm going to have to check out Ladybug Girl, I just read your review and I've been seeing it a few places. It's just so cute!